Can't find your gallery? 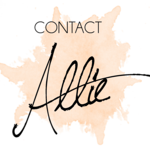 Please e-mail allie@allietylerphotography.com if your gallery has expired. Portrait and engagement session galleries expire after two weeks and wedding galleries expire after six months.